The game format, rules for game play, and substitution system which are unique to Upward Basketball are designed to provide the best sports experience for every child. A referee leads both teams in prayer at center court before every game. This sets the tone and focus for the game. Games consist of two 18-minute halves and an approximately six-minute halftime. This keeps games to approximately a 45-minute time frame. It also allows games that are scheduled on the hour to begin and end on time. A coin toss or other impartial method determines which team receives possession first. In jump-ball situations, possessions will alternate. This promotes fairness for both teams while adhering to the National Federation of High School rule for jump ball situations. During each six-minute segment the clock runs continuously. The clock will stop at the end of each segment for predetermined substitutions. This allows coaches to line up and match substitutions based on height and ability without wasting valuable game time. This time should not be treated as a timeout. This is a great time for cheerleaders to do a quick cheer. No timeouts are used in Upward Basketball. This allows more playing time and keeps the games on time. At the end of each six-minute segment, the team that receives the ball next is determined by the direction of the possession arrow. Therefore, an end-of-the-period shot is encouraged. Players and spectators enjoy seeing a last second shot attempt. It also avoids the offensive team from stalling at the end of a period. Teams switch goals at halftime. This is in compliance with NFHS Rules. Also, it evens any advantage that may occur because of the court. No scores are kept in the K-5, 1-2Boys, and 1-3Girls leagues. The focus for this age is to learn fundamentals, not winning and losing. Any games ending in a tie should remain a tie. This will help keep games on schedule. No division standings are maintained in any league. Such standings add unnecessary pressure and intensity. In Upward Basketball, there will not be a playoff system, championship tournament, or a division champion thus eliminating the need for standings. Coaches are allowed to walk the sidelines and encourage their players without stepping into the playing area. K-5 coaches, however, are allowed on the court with the players. Their focus is to instruct and encourage players at all times. All coaches will adhere to the substitution system. The substitution system allows for equal playing time for all players. Man-to-man defense will be played at all times. Zone defenses are not allowed. In most cases, while playing a man-to-man defense, players are only guarding the opponent that closely matches their ability and height. This allows for a more competitive system for every player on the court while creating an equal opportunity for each player. An offensive player (O1) sets a legal screen on a defender (D1), allowing the ball handler (O2) to freely drive into the lane. As O2 gets into the lane, a nearby defender (D2) slides over away from his assigned man to guard O2 until D1 can recover from the screen. Upon recovery, D2 must return to guarding his assigned opponent. The defense gets a rebound under the goal and throws a wide open overhead pass to a teammate located along half court. This player receives the pass and is advancing the fast break. Meanwhile, the only opposing player close to him is not his assigned defender. This person quickly guards the ball carrier and stops the fast break. The ball handler beats his man and drives into the lane. After doing this, he meets a second defender who is in the lane. As long as this defender is within arm’s reach of his assigned opponent, he is allowed to provide help until the ball handler’s assigned opponent can recover. Upon recovery, the defensive player that provided help must then return to guarding only his assigned player. At the beginning of each six-minute segment, both coaches should lineup the players at mid-court and match them up by ability. This act is performed to promote equal player match-ups. Equal match-ups combined with man-to-man defense create five competitive pairings on the court. If both coaches and referees foresee a match-up problem due to position and height, players can be shuffled around to create a better game situation. 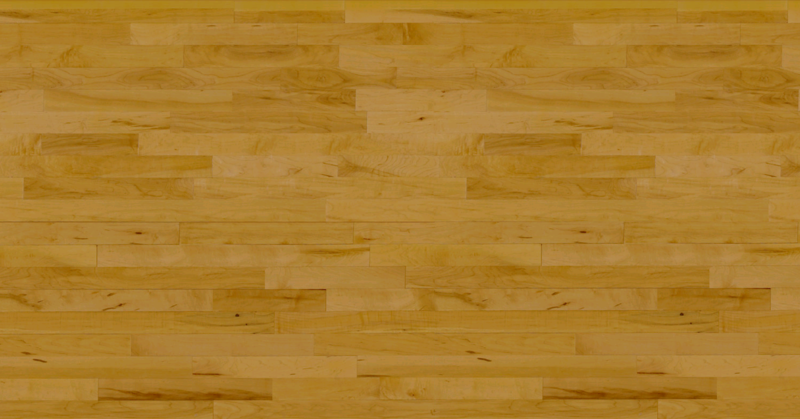 Full-court presses are not allowed. Defensive players may not guard their opponents in the backcourt. This allows more play to occur in the front court and creates an equal opportunity for each child to participate offensively and defensively on the court. Due to the shortness of the court in cross-court play, backcourt violations will not be called (this occurs when the ball handler brings the ball over the midcourt line into the frontcourt then retreats with the ball back into the backcourt). The offense must purposefully attack the defense in every situation – no stalling. After a warning from the referee, a violation will be called resulting in a turnover. This will prevent a team with the lead from running the clock out by staying in the backcourt. Referees will call and explain all violations. This is done because referees also serve as “on the floor coaches” teaching players what is and is not acceptable on the court. The detail of explanations will vary according to the age group and understanding of the players and should decrease as the season progresses. When possible, referees will advise players of potential violations before the violation occurs. Through words of encouragement and warning, referees are often able to prevent a violation from occurring. The three-second lane violation will be somewhat lenient in the Kindergarten, 1-2Boys, and 1-3Girls leagues until it has become “Rule of Emphasis” for the week. However, coaches and referees must encourage offensive movement in and out of the lane area. This helps teach the younger age groups to avoid this potential violation without being penalized. No technical fouls or protest of games. Technical fouls and protests go against the spirit of Upward Basketball. Coaches and referees should instead follow the example in the Circle of Affirmation. No score will be given for a basket in the wrong goal. It will be treated as a turnover. This will prevent further embarrassing a player for making this mistake. A player committing two fouls in one six-minute segment must sit out the remainder of that segment. The next player in the rotation comes in as the substitute. This does not change the normal rotation, because the fouled-out player does not come back into the game until scheduled to do so. The player who comes in as a substitute gains extra playing time. This extra time does not affect the predetermined substitution system. This rule allows the offending player time to regroup during the remainder of the segment while realizing that there is a consequence for the violation. Note: In a second foul situation, when a team only has five players at a game, replace the substitution rule with a two-point penalty by awarding the fouled team two additional points. The defensive team then takes possession. Non-shooting fouls result in the ball being taken out on the side by the offended team (no bonus rule). All shooting fouls result in free throws. By not administering “bonus” situation free throws, this allows all players on the court to contribute to consistent game action. Non-shooting fouls result in the offensive team getting one point and retaining possession of the ball. Shooting fouls result in the offensive team scoring two points and the defensive team gaining possession. A player fouled in the act of shooting and making the basket is credited with the basket plus one point. The defensive team then takes possession. These rules exist because, with less than two minutes remaining, time may be wasted lining up players for free throws. This keeps the game moving while allowing all players more time to equally contribute.